10 Million Marketers Can't Be Wrong! 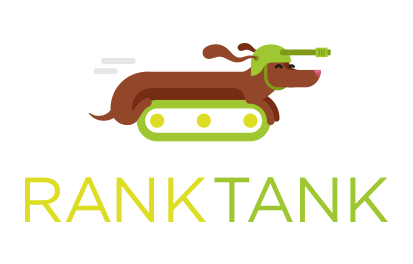 When you join the RankTank mailing list, you'll be better than 9.9 million of them. You'll also get first access to cool new tools, tutorials and other neat stuff. SPAM? Naw. Ain't nobody got time for that. Easily see how rich snippets and meta data are indexed in Google for any site. This tool checks for rich snippets, and compares Google’s indexed title and meta descriptions against the meta data in the site’s code. The Detailed URL Report tab takes rich snippets testing one step further by showing what snippets are indexed and showing live for which pages, and what titles and descriptions Google is showing for each indexed page. As our special gift to you, use RANKTANK-XC4KFSFP for a free trial of SEMrush Guru, valued at $199.95 courtesy of RankTank! You can also make use of the SEMrush API to supercharge our free SEO tools. Not sure where to start your keyword research? Get this SEO tool free now! Totally not required, but I'd seriously appreciate if you joined the RankTank Member's List. Members get exclusive first access to new tools, tutorials, articles, pictures of my dog, and more! 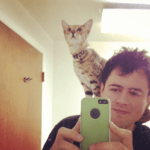 Get the free SEO tool! Click the button below to open Google Sheets and make a copy! Every feature in this structured data testing tool – from crawling Google snippets to the meta tag tester – is 100% built out of ordinary Google Sheets formulas! Want to know how something works? Click in the cell and look at the formula! Want to change something? Go right ahead! It’s totally open! Did you make a change that totally changed the game? Find something I missed? Let me know, and together we can make this thing awesome for everyone! Thanks for this awesome sheet. Can you please check and let me know the issue. This is a very useful tool for seo. i was trying to go google , but i don’t know why don’t access at google and youtube. Great tool, I’m really like it, Thanks. Many times it just doesn’t refresh, not giving any data…. Secondly, often no declared meta/title, although we have declared meta data. Why is it not showing? Thanks for the Info. will certainly help newbies like me. Looks like a great tool and trying to use it but it says NO URLS HAVE BEEN PROCESSED in red. Doesn’t work for me: tested with an URL and keyword, where rating rich snippet appears in SERP definitely. But the tool said: no rich snippet. Fixed it Sean. Turns out you need to enter the correct www or non-www version of the live site. Thinking I screwed the domain entry again, I just made another copy of the doc, but this time the default example wouldn’t even load and produced the same issue. I don’t know spreadsheet scraping enough to know if IPs or user-agents have an effect, but I tried altering these through a VPN and switching the user-agent to no affect. Any ideas how to get this working or what could be the cause? Tested the default document a few days later and no difference. Could it be that Google has some block on this scraping? can you outline more about what columns H to K tell us in the URL Description tab? Sure! Column H shows if the live meta description matches the page’s declared meta description, column I does the same for titles, column J shows if the title is cut short on the SERP, and column K does the same for meta description. I’m not able to make a copy of this document in Google Docs. I was able to do it with the RankTank Simple Site edit tool but not this one. Not sure if the settings are set right on your end or if I’m doing something wrong. Your Google account might be blocking it. Could you try from a different Gmail address? I tried it in another gmail account and it worked. I then tried it in the original one and it worked there too. So I’m not sure what was happening the first time. It didn’t show the Google Sheets menu bar or editing tools. Anyway, got it now. Thanks! Hah weird, glad it worked! Great looking tool. It won’t allow me to make a copy. Is that done on purpose or am I missing something? It might be your Google account – sometimes work Google accounts do that. Could you try from a different gmail account?